This site provides information on approved modems for all major ISPs (internet service providers). Updated with the latest information, ApprovedModemList.com represents the best source for certified ISP modems. Looking for a quality wireless router? Check out these recommended routers for 2019. 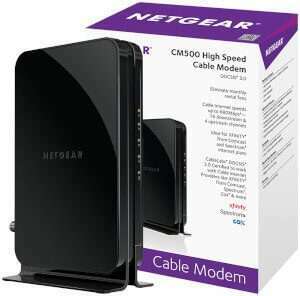 Supported by most major cable ISPs, the NETGEAR CM500 DOCSIS 3.0 Cable Modem is the best value modem available on the market today. For just a few dollars more than an 8×4 channel modem, you can get a 16×4 channel modem capable of twice the download speeds (680 Mbps).